This time of the summer the air and water temperatures are 80 degrees or more and most lakes are covered with weeds and algae. So where does an angler go to catch some fish? 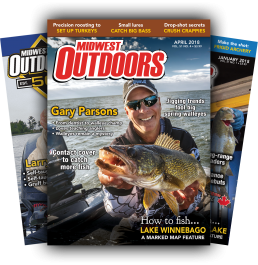 There are good ways to beat the summer blues and catch some tasty panfish in the lakes of southern Wisconsin and the rest of the Midwest. Most panfish and gamefish have moved away from the warmer and shallow water and have scattered into mid-lake locations and deep weedlines. This is where a supply of zooplankton is close by and suspended throughout in the water column, providing food for fish. These locations can be in many areas of a lake, but mid-lake structures like rock piles, humps, cribs, underwater islands and deep-water weeds are always worth checking as well as a lake’s open basin. Often, you’ll see clouds of zooplankton rising off the bottom of a lake and scattered up and down from the bottom to top on your electronics. These “clouds” or “balls” of baitfish and zooplankton are what you’re looking for, and this is where you should be fishing. Slowly motor over these areas with your eyes glued to your electronics while you look for the baitfish schools. The key is to find the food first, and then you’ll usually find the fish close to that forage. 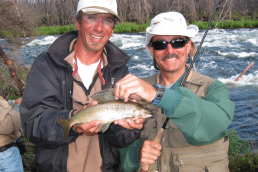 Make sure you have a map of the waters you’re planning to fish and go over it beforehand. Good maps like those made by Navionics are well worth it. They also make chips for the quality GPS units that can show you everything that you need to know about most lakes. 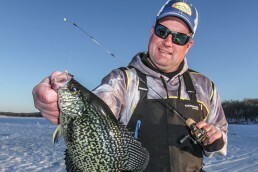 Tactics for fishing panfish in August include drift-fishing across the main basin of a lake and its structure, and fishing the lake’s deep weedlines. Depth is a relative thing depending on the waters you’re on. The types of lakes I’m fishing are mainly mesotrophic lakes, and many of these are found in much of Wisconsin and the Upper Midwest. Mesotrophic lakes are commonly relatively clear with submerged aquatic plants, vegetation or weeds, and a medium level of nutrients. When drifting for panfish, remember that the wind is your friend. 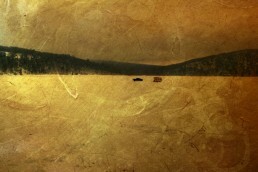 The wind is a factor that moves the zooplankton or the small organisms around a lake. Always check to see which direction the wind blew from the day before, as this can help your success by telling you the locations where you want to drift toward and in. 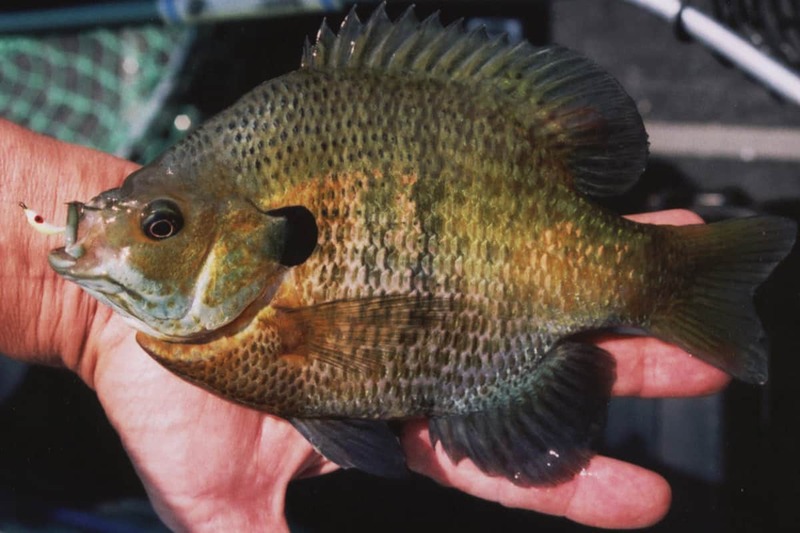 Panfish drifting can be like trolling for open-water walleyes where it’s important to cover as much water as possible until you find those bugs and then the fish. 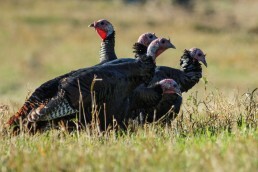 If there were southerly winds the day before, you then want to be fishing and drifting the northern areas of that lake because that’s where the feed will have been blown toward. A good lake to drift is Madison’s Lake Monona, which is productive for most species with a maximum depth of over 60 feet. It has good structure, weeds, and a river flowing in and out. 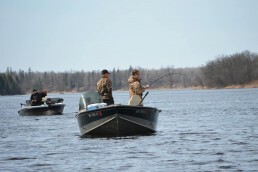 Its main basin is perfect for summer drifting for perch, crappies, white bass, and even bluegills. Even though the bluegills are a weed-orientated fish and near-sighted, they too can be caught while drifting the main basin. 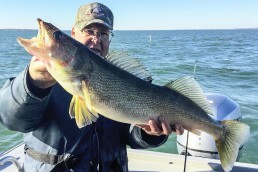 What happens to Lake Monona and many lakes in Wisconsin is that during the hot weather the area where fish will be actually compresses or gets smaller. 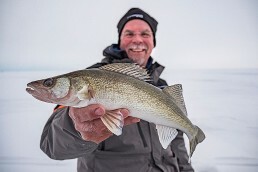 Most lakes, with the exception of shallower lakes like the huge Lake Winnebago, experience stratification where you have different temperatures and oxygen levels at different depths during the summer. 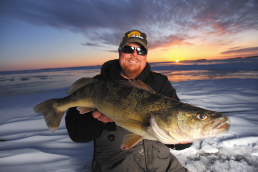 Lake Monona’s fish will usually suspend anywhere from 5 to 20 feet down in water 40 feet deep or even deeper. You should always be fishing above this level. Once you find the zooplankton and see the stratification, you should be in for some quality fishing. 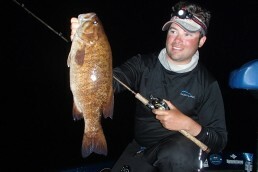 Fishing can actually get better in August and September when using one of these tactics. Again, good electronics can show you a lake’s stratification. 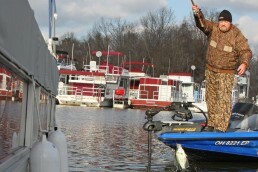 The equipment and gear for panfish drifting is relatively simple. The first thing you need is a rod between 7 and 7 1/2 feet. 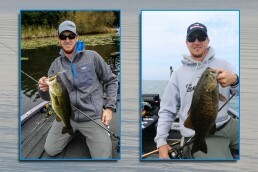 G. Loomis and Fenwick make good ones with an extra fast or fast tip. Combine this with a quality ultra-light reel like a Shimano or Daiwa, and spool it with 4-pound-test Trilene monofilament. Then tie a barrel swivel to the main line and to the swivel add 2 to 4 feet of fluorocarbon line. Then tie on a 1/32-ounce jig like the Bait Rigs Slo-Poke. 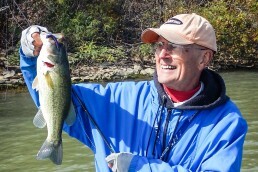 The Slo-Poke jig falls better horizontally than most others. Also have an assortment of colors with glow and chartreuse, but keep experimenting. 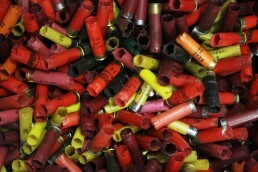 The jig is then loaded with three or four spikes, waxworms or leaf worms and is weighted with mini-split shot. I use the smaller split shot (1/32 ounce) to weigh the line, spacing them 2 to 3 feet above the jig. This is not a precise method, but it works. 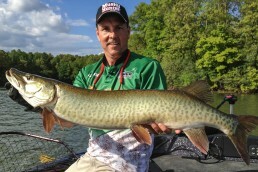 Since Wisconsin allows you to use three rods, I’ll weigh my lines down with a different number of split shots (2, 3, or 4) and count out the amount of line let out by the number of line pulls. Experiment with adding and deleting split shot until you find active fish. 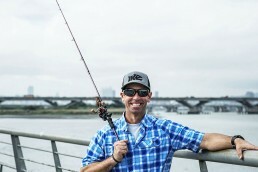 Be sure to keep an eye on your rod tips for bites. When drifting, the fish will hook themselves. You want to scatter your baits up and down in the water column above the thermocline and stratification. 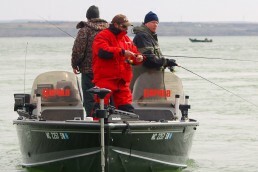 It’s much easier to fish and drift if you have rod holders on one side of the boat. What you’re really trying to do is to “rake” the water column for your fish. While fishing this system, I’ve also found that bluegills are always the highest up in the water, the crappies are normally below the bluegills and that the perch are almost always the deepest. The white bass can be scattered anywhere from top to bottom. 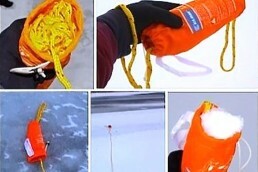 Also, if it’s too windy for drifting, try using a drift sock to slow you down. 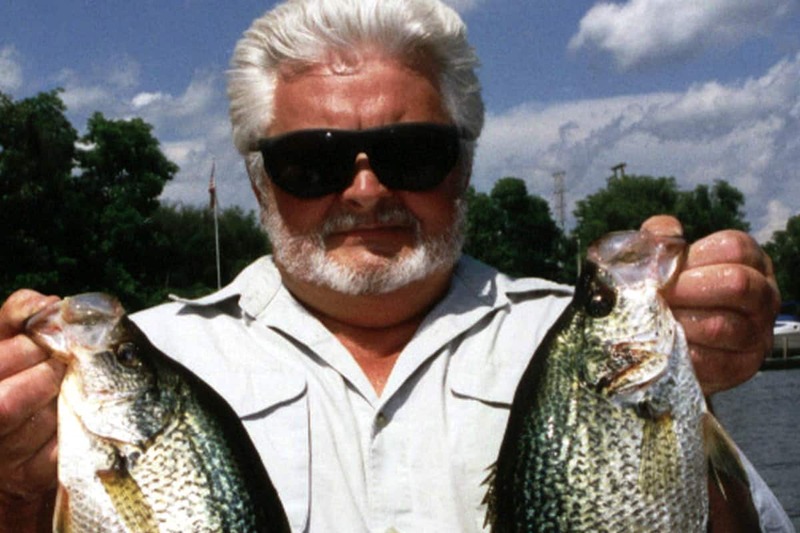 And remember that panfish are sight-feeders, and the best action is from 10 a.m. to 2 p.m. when the sun is at its highest point in the sky giving the greatest light penetration. 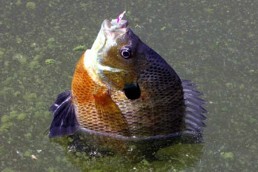 Another summer tactic for panfish is to search the deep weedlines. You won’t always see the fish since they often are buried in these weeds waiting to ambush whatever comes by. This method requires a good anchor and plenty of rope. Anchor up in a good spot and fish the weeds with a small jig in a number 12 size and a slip float. Any winds blowing into these will give your baits movement, action, and blow them toward the weeds. It’s also very important to position your boat in a location where you’re not on top of the fish. You’ll have to make a cast to reach them; the panfish can be anywhere in the weeds or close to them. The best weeds are coontail, cabbage and sand grass in most northern lakes. Some days, a plain Aberdeen hook at a size 8 and a split shot or two is all you need with live bait. 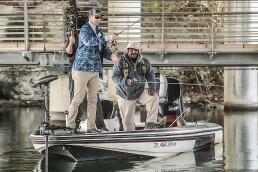 Since you can use three rods up here, try to rig each with different kinds of bait and different colors, and then fish at different depths to cover the water column. Stay in an area for one half hour before moving. When you do leave, make smaller moves looking for the open areas in the weeds or near any inside turns. You want to move less, and all you have to do is just let out a little more rope. 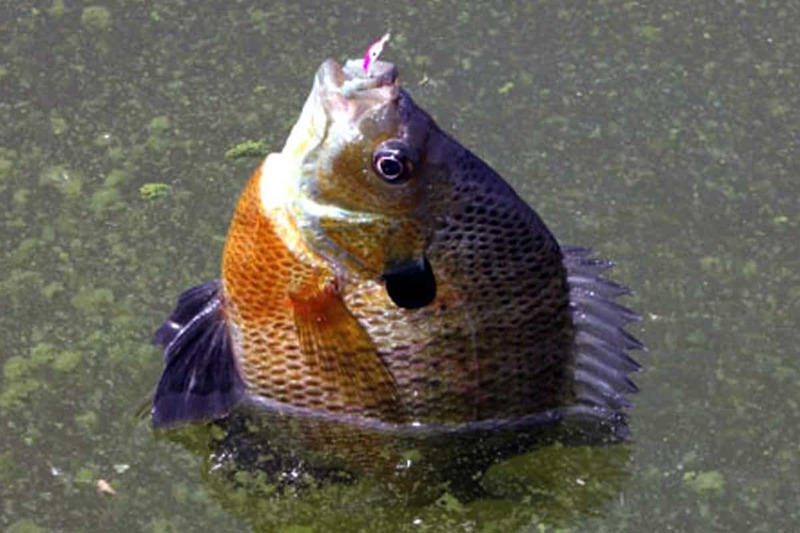 These are tried and true methods for catching panfish in summer and early fall. 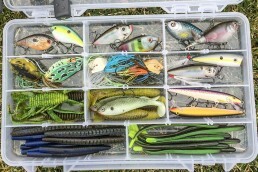 If you have a good-sized lake that warms up well and the fishing can be tough, give these techniques a try. 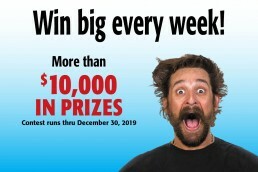 Are You an Ethical Angler? 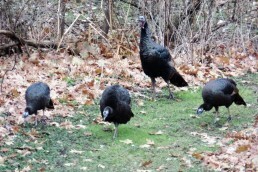 If you have any questions or comments you may reach Gary Engberg at 608-795-4208 or garyengbergoutdoors.com.